I don’t specifically remember any grand announcement from IBM about the 360 mainframe in 1964. If I heard about it, I probably thought, “Oh well, another computer from IBM”. I’m not even sure we called them mainframes back then, because that’s all there was, i.e., there were no “non-mainframes” (yet). I didn’t have time to ponder it much. I was busy converting IBM 705 and 1401 programs from assembler and COBOL into Burroughs COBOL at the time. For some of the assembler programs, the company (Westinghouse Transformer Division) didn’t even have the source. We had to somehow interpret the object deck (punched cards of course), and figure out the logic and then make something COBOLish out of it. I did that for two years and automated various aspects of the conversion process, which led some of the older and smarter staff to encourage me to go away and do some work for the Burroughs compiler development division in either Pasadena or Paoli near Philadelphia. So I sent out my resume and immediately got several responses, the most interesting one being from UNIVAC in Blue Bell, PA outside of Philly. I went to an interview and I was interesting to the boss, because I had been stationed in the army at Fort Huachuca, AZ (where I worked on an IBM 709) and where he also had been stationed. I noticed a memo on the secretary’s typewriter that had me somehow 90% done with the first phase (named Scan/Scramble) of the COBOL Compiler for the UNIVAC 490/494, even though I didn’t yet work there. They offered me $10 more per month than I wanted. Hired! 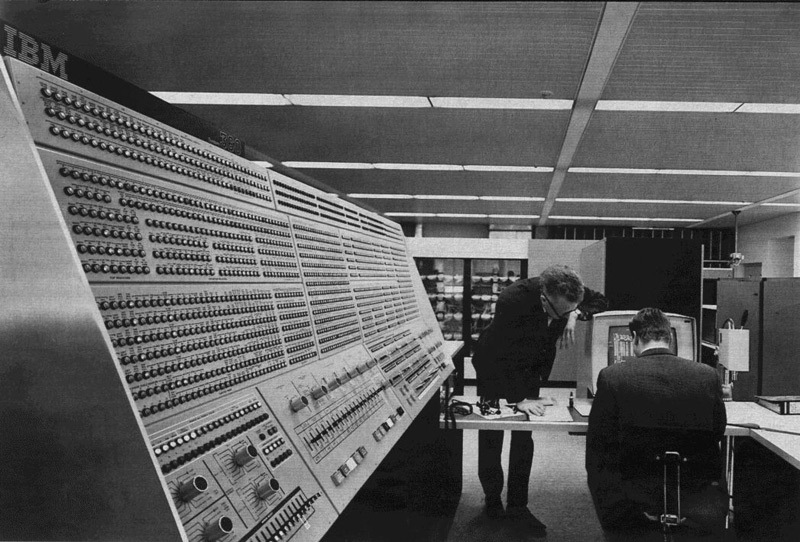 That was back in the era when UNIVAC dwarfed IBM. But IBM was growing. And they had this new 360 thing. 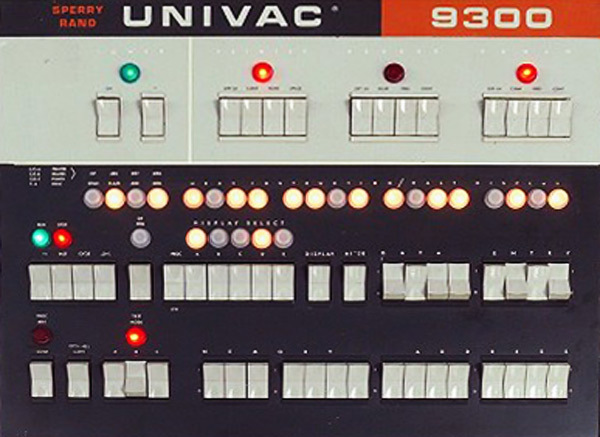 Of course, UNIVAC had to have a competitive product, and they announced the 9200 and 9300 and eventually a 9400. I was made the leader of the group to develop the 9300 COBOL Compiler. The 9300 instruction set, I found out later, was about 99% identical to that of the IBM 360. One day in 1966, UNIVAC had everybody (hundreds of staff) assemble in the auditorium where they announced this new 9300 technology. I remember most people freaking out because we were going to have to speak in this new language called Hexadecimal. I thought that would be cool, twice as cool as Octal. People were still blown away with Octal where you don’t get to use an 8 or a 9. And binary was old by now. You can’t get too creative with 1s and zeros. So I thought the idea of adding the letters A, B, C, D, E, and F to the number sequence, following 0-9, would be really neat. 10 hex would mean 16 decimal. Awesome. I think we lost many employees over that. They were not ready for 16 “digits”, and 8-bit bytes instead of 6. We did accomplish the compiler. It took two years. It took a zillion punched cards. We had a partially working computer (if one worked, they’d sell it to a customer and make a new one). We made trips to out of town sites to get the thing done, such as Bethlehem Steel and the UNIVAC 1108 development office in Minneapolis. The 9300 had a card reader, card punch, printer, 16k bytes of memory, and four tape drives. There was not yet any spinning disc storage device, and we viewed with amusement a nearby computer with a spinning drum. There were no terminals for another 5-10 years, so we carried cards and huge listings around. I led 22 different people, 15 max at any time, and 9 for the bulk of the effort. The building was about a half mile long, and was quickly maxed out with staff, so they moved the compiler people to an old “Kmart type of place” nearby, called the Atlantic Thrift Center. Hamburgers across the street cost $1.25, so I’d usually get the grilled cheese and ham sandwich, which was only $.75. Most people had beers with lunch back then. Add 25 cents. An attractive young lady named Emilie also worked there at UNIVAC. Hmmm. It was in that place that I remember working with (or near to) Dr. Grace Hopper, a delightful person that I understood to somehow be employed by UNIVAC while still being in the Navy. She liked me, responding positively to some of my memos on ideas for automating the production of compilers. Some years later, I visited her in the Pentagon when switching jobs, to ask her advice. She did help me find that next job in the DC area. As most people know, Dr. Hopper is no longer with us. That’s a little bit of what I remember about that “IBM 360 announcement era” or, in my case, the “UNIVAC 9300 announcement”. By the way, it was a few years later when one of the other “mainframe biggees”, RCA, merged with or got bought out by Burroughs. Whatever, that outfit then got bought out by UNIVAC. They decided they needed a new name, and that is when UNISYS was created. Oh, and IBM got bigger. Since 1982, Treehouse Software has been serving enterprises worldwide with industry-leading software products and outstanding technical support. Traditionally, Treehouse Software has focused on software that was complementary to the Software AG mainframe product line (ADABAS database management system and NATURAL programming language) in the areas of security, control, auditing, performance enhancement, etc. Today, the primary Treehouse Software focus is new software and services that enable mainframe customers to leverage their investment in legacy systems with data integration, data warehousing, modernization and conversion, Service-Oriented Architectures, and business analytics. As Treehouse Software sets its sights on the SHARE Conference in Pittsburgh this coming August, a topic that’s been generating a lot of conversation is the 50th anniversary of the mainframe, how it’s advanced over the years, and how it remains relevant today. The SHARE website recently posted a blog article called “Mainframe at 50: The ‘Engine of Progress’ Drives On”, which gives a nice perspective on the mainframe’s history. Treehouse Software President, George Szakach will be offering his own perspectives on 50 years of mainframe history.